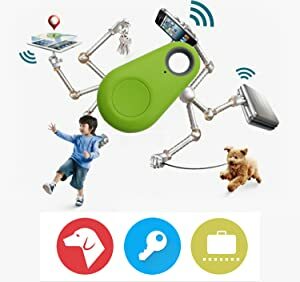 ALARM FUNCTION: Bluetooth 4.0 connection lets you sound an alarm whenever your phone and the tracker are separated - great for kids, luggage, pets, and more! Operates using cTracing App via iOS or Android Smartphone. 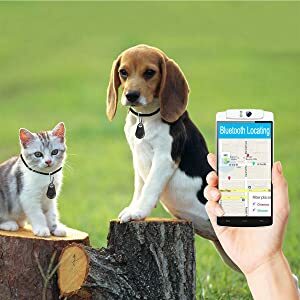 INTELLIGENT SEARCH FUNCTION: Through precise calculation, locate your pet via digital display, and you can also press the calling button to let the device make sound.Compact size and lightweight design and low energy consumption,handy like a key ring,easy to carry and use,Keep Your Valuable Things Safe And Within Your Range. LOOKING FOR YOUR ITEMS: Locates Where you last left them to the nearest Street and then give you signal strength Guiding you to your lost item!! You can even Locate Your Phone by pressing the button on the Gadget it will send the Phone a Ringing Noise until you locate your phone. 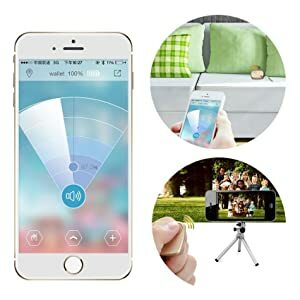 REMOTE CONTROL: You can remote control the device camera or voice recording of your phone by press a button.It can take awesome wide angle selfies from your front or rear facing cameras. Works as a remote shutter for self-portrait, capture the happiest moment easily. 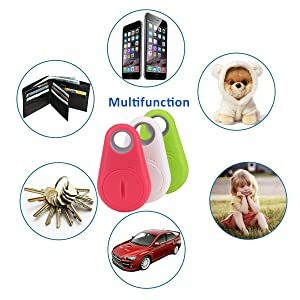 MULTIFUNCTION: Anti-lost alarm,remote control function,protect your valuables,kids,pets from theft or loss.It can also provide a last seen pin-drop on map via APP to help you recover your items and search your cars in parking site. You may always forget your key, wallet,pets,bag before, With Our Smart Finder Mini Bluetooth Anti-lost Tracker! Help You Trace Your Belongings With Its Gps Locator Finder No Matter How Far You Go. A Pin-drop Will Be Marked Automatically On Map To Show You Where Your Belonging Is Lost.Just download the free app we provide details for onto your Android or iOS system and you can sync in seconds. You can then have multiple devices linked and a range of settings for distance alerts which are easy to programme and use. *Leave you away from unnecessary troubles like losing keys,pets,phones,wallets,bags,luggage,kids and so on. *On connection status, if it lost connection with phone, the phone will ring. Keep your phone with you. *Click the button "Cutt off" to stop the connection. *The distance can be adjustable from Close to Far. *Close the button"Support Alarm"to stop the alarm. 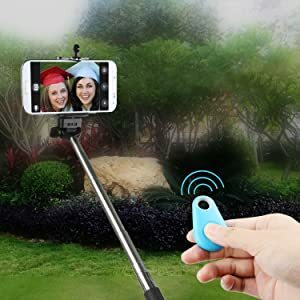 Just remote the device camera of your phone by press a button.It can take awesome wide angle selfies from your front or rear facing cameras. Works as a remote shutter for self-portrait, capture the happiest moment easily.